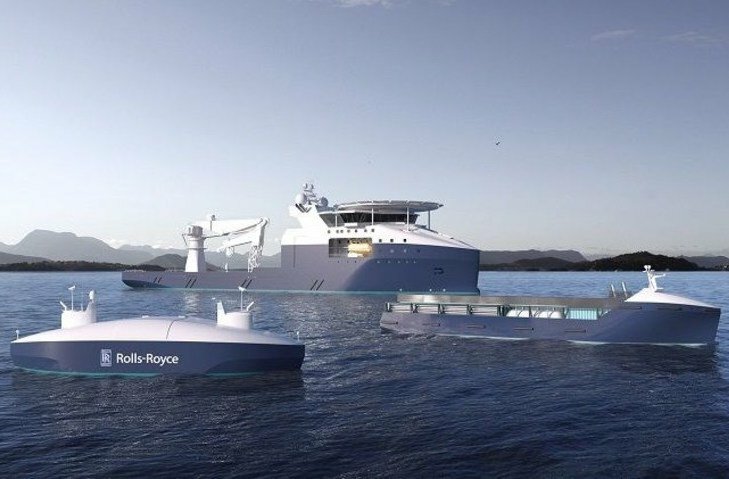 Two of the greatest advocates for autonomous shipping are set to join forces with news breaking that Norway’s Kongsberg has entered into agreement with Rolls-Royce to acquire Rolls-Royce Commercial Marine. “Kongsberg and Rolls-Royce Commercial Marine are by and large complementary in terms of products, solutions and competencies and the acquisition is in line with Kongsberg’s ambitions of profitable growth as a global leading technology provider,” Kongsberg said in a release. The transaction does not include Bergen Engines nor Rolls-Royce’s naval business. The parties have agreed a value for Rolls-Royce Commercial Marine of £500m ($661.8m). New equity and a new bond loan will be deployed to finance the acquisition. Rolls-Royce has been restructuring heavily in recent years and has been seeking buyers for its marine business, with acquisitive Wartsila from Finland having been tipped earlier as a likely buyer before Kongsberg pounced. “The maritime industry has over the last years experienced demanding market conditions and even though there is still uncertainty we expect the market to be facing growth with technology and innovation being key drivers,” commented Eivind Reiten, chair of the board of Kongsberg. “The acquisition of Rolls-Royce Commercial Marine makes us a more complete supplier to the maritime industry. The maritime industry is becoming increasingly globalised and is undergoing considerable technological and market driven changes. With this acquisition we will strengthening our strategic position with shipowners, shipyards and other customers and partners”, said Geir Håøy, CEO and president of Kongsberg. The combined entity will have more than 10,000 employees, making it one of the largest maritime equipment manufacturers in the world. “This deal is good news for Rolls-Royce and Kongsberg and comes at a time when the maritime industry is at the dawn of a new and exciting era where digital and electrical technologies will transform shipping. Rolls-Royce has been responsible for leading many of those technological advancements, and with combination of great people, market leading technology and a desire by Kongsberg to take this business to the next level, I’m sure that this business will prosper in the years to come,” said Mikael Makinen, Rolls-Royce president of commercial marine. Yet another anti-competitive merger/takover in Norway.